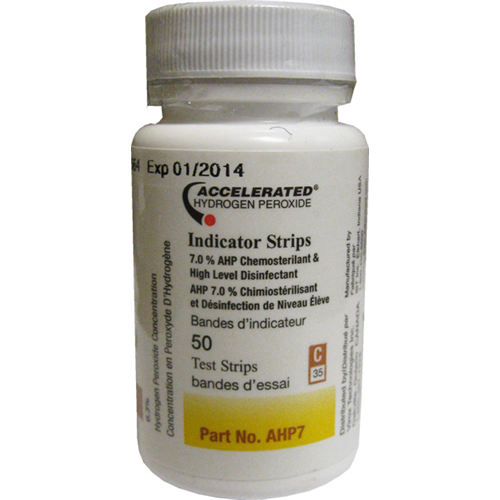 Accelerated Hydrogen Peroxide Indicator Strips (7%) are easy to use dip-and-read reagent strips. Easy to use monitoring system for users of high level disinfectants and chemo-sterilants. 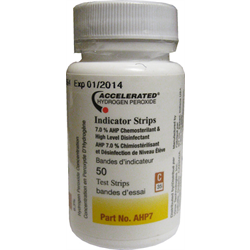 Quickly determines if the correct concentration of hydrogen peroxide is present and provides a Pass/Fail reading.